Mental health has a direct impact on academic performance in children. Neglected childhood psychiatric disorders like ADHD and Learning Disorders adversely affect the child’s academic performance and educational attainment. 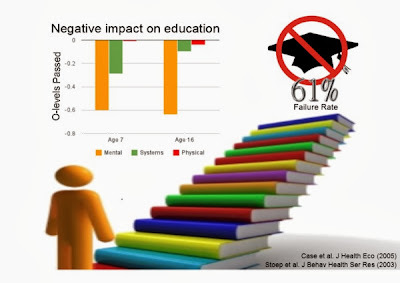 Poor educational outcomes affect the child’s health, employment, and status as an adult. This is especially so for psychiatric conditions that are seen at 7 years and persist beyond 16 years of age. Mental health disorders in children have a greater impact on academic performance than chronic physical illness. The presence of a single mental condition results in morel board exams failures and backlogs. This association is more than for chronic illnesses of the neurological, lung, heart, or digestive systems. Physical impairments are not associated with exam failures. More than half the teenagers who fail to complete their secondary education have a diagnosable psychiatric disorder. Mental health problems in childhood impede academic performance as the student is unable to take advantage of learning opportunities at school and at home. Poor academic performance may be a marker for mental health problems in childhood. We screened secondary school students performing poorly at academics for mental health disorders. 2/3 of these children had at least one mental health disability. ADHD and Depression were the most common mental health disorders in this population. One third of the children had more than one mental health disorder. Our study showed that screening children who had poor academic performance would help in the early identification of treatable psychiatric disorders. This in turn would improve academic performance and subsequent adult outcomes. Mental health problems in children negatively impact physical health, employment and social status as they grow into adults. 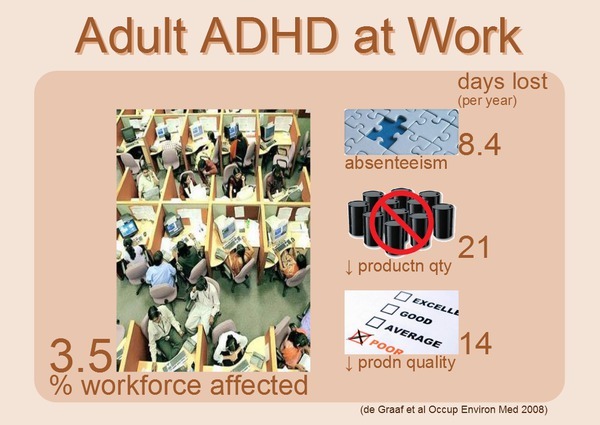 These adverse health, employment and social status outcomes are especially seen in those children with psychiatric disorders at age 7 that persist to age 16. There is a large window of opportunity between ages 7 to 16 during which psychiatric disorders can be addressed to prevent adverse outcomes in adulthood. Mental health problems in childhood have a higher impact on academic performance than chronic physical conditions. Psychiatric disorders account for a large chunk of school failures in children. Poor academic performance in children may be a marker for the presence of undetected mental health problems. Treatment of childhood disorders like ADHD improves academic performance. There is a decade window between the ages of 7 and 16 years to prevent adverse impacts on physical health, employment and social status by treatment of mental health problems that are resulting in poor academic performance. Case, Anne, Angela Fertig, and Christina Paxson. "The lasting impact of childhood health and circumstance." Journal of Health Economics 24.2 (2005): 365-389. Stoep VA, Weiss NS, Kuo ES, Cheney D, Cohen P. What Proportion of Failure to Complete Secondary School in the US Population Is Attributable to Adolescent Psychiatric Disorder? Journal of Behavioral Health Services & Research, 2003, 30(1), 119-124. What is normal? A 22-year-old man jumped into the tiger's enclosure at the local zoo on Saturday and was mauled on his back, stomach and thighs. The previous night he had dreamt that he was to free the big cat and that it wouldn't kill him. "See, it didn't kill me," he said. Doctors treating him said, "he has received injuries but he would be well soon ... he was not suicidal." The concept of normality is at the core of mental health. Without a concept of what is normal one cannot identify the abnormal. In this post we explore the concept of normality from a mental health point of view. The WHO has defined health as a complete state of physical, mental and social well-being and not merely the absence of disease or infirmity. Later they added spiritual well-being to the definition. So health is a positive state, not just the absence of disease. This concept looks at normality from a biological or medical point of view. Suicide attempts are an important marker for mental health illness. However, the mere absence of this particular marker does not rule out mental illness. But the young man’s actions do indicate a lack of judgement - would jumping into the enclosure free the tiger? and after freeing the tiger what next? A display of impaired judgement is often the first visible sign of a mental health problem. Normality is a blend of all the elements of the mental apparatus leading to optimal functioning that seeks perfection. However, Sigmund Freud wrote that "A normal ego is like normality in general, an ideal fiction. Every normal person, in fact, is only normal on the average. His ego approximates to that of the psychotic in some part or other and to a greater or lesser extent; and the degree of its remoteness from one end of the series and of its proximity to the other will furnish us with a provisional measure of what we have ...". This psychological interpretation of what is normal was the first to conceive of normality and abnormality as different ends of the same spectrum. Normality is also defined by the persons internal experience or "personal world" - the way they think or feel. Karl Jaspers, psychiatrist and philosopher, viewed the goal of eliciting signs and symptoms from the patient as an attempt to reach an understanding of their personal experience without any prior assumptions or bias. According to Jaspers, the "personal world" is abnormal when it is based on a disease condition such as schizophrenia, when it alienates the person from others emotionally, or when it does not provide the person with a sense of “spiritual and material” security. 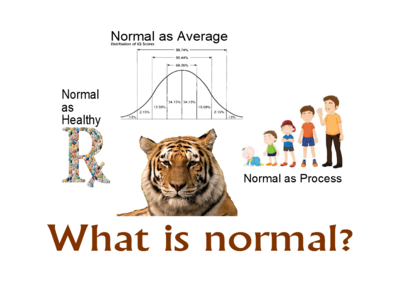 Normal is also a statistic. The field of psychology contributed further to the concept of normality and mental health by introducing objectivity through measurement. Take intelligence, for example. A graph plotting the distribution of individual intelligence scores (IQ) in the population would follow a bell-shaped curve. The middle range of this curve is considered as normal, and the extremes as significantly low or high intellectual ability. This normal as an average is in the context of the total group. When is it normal to jump into the tiger enclosure? Normality is also conceived as being the result of an interacting system. This process-concept emphasises changes over time as against a cross-sectional definition of normality viewed at a particular point of time. The trajectory of development of an infant into an adult is one such process of normal change. When seen against this background an act such as crawling is normal in infancy but would need explanation in adulthood. Normality is also assessed from a social viewpoint. Is the person normal to others in the same society? Is the person viewed as abnormal by the person's society but normal by others from outside the person's society? Is the person normal in the person's society but abnormal when viewed by persons outside the society? The answers to these questions are directly impact whether the person will be labelled as mentally ill and associated with the stigma of mental illness. The answers are also medically important as they will impact the decision to seek healthcare. In a world where young people are exhorted to follow their dream one also needs to consider the dream. Freud, Sigmund. (1937c). Die endliche und die unendliche Analyse. GW, 16; Analysis terminable and interminable. SE, 23: 209-253. Sabshin, Melvin. Psychiatric perspectives on normality. Archives of General Psychiatry 17.3 (1967): 258. World Health Organization. WHO definition of Health, Preamble to the Constitution of the World Health Organization as adopted by the International Health Conference, New York, 19–22 June 1946; signed on 22 July 1946 by the representatives of 61 States (Official Records of the World Health Organization, no. 2, p. 100) and entered into force on 7 April 1948. In Grad, Frank P. (2002). "The Preamble of the Constitution of the World Health Organization". Bulletin of the World Health Organization 80 (12): 982. 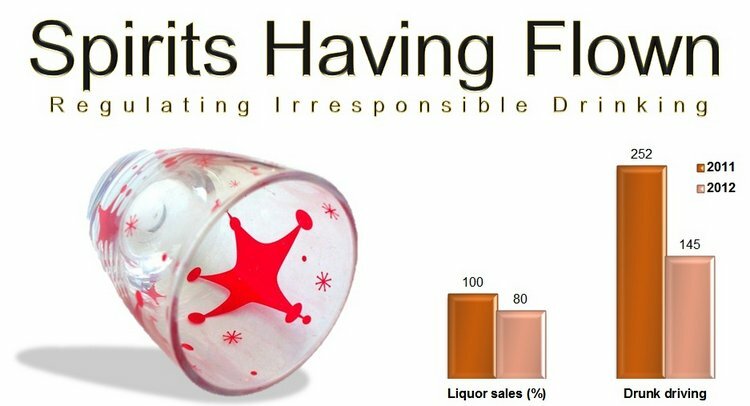 Irresponsible drinking requires regulation to modulate its potential for harm. 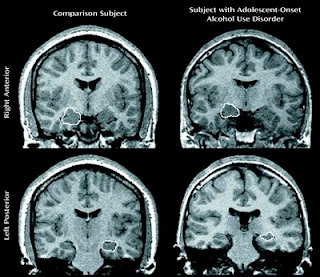 There are specific neurotoxic effects of alcohol drinking. The responsible individual needs to learn personal skills to refuse alcohol drinking when required to do so. The potential harm to society with irresponsible drinking and driving necessitates regulation at a societal level. Alcohol drinking and driving in Pune over New Year's eve was markedly reduced as compared to last year. This year 145 drunk driving arrests were made as against 252 last year. This reduction was despite an increase in the total number of arrests made in Pune for irresponsible drinking and driving in 2012 as compared to the previous year. The heightened deployment of police personnel manning 30 prominent points of the Pune roads on New Year's eve was apparently deterrent enough. Alcohol drinking and liquor sales were down by 20-30% in September 2012 following a police raid on an unlicensed rural Pune nightspot. The uproar by its patrons and subsequent police action on liquor retailers and other restaurants resulted in the Pune District Wine Traders Association lamenting the impact of plunging alcohol sales at premium outlets and lounge bars. The effects of regulating alcohol drinking have been specifically studied. In Kentucky — the birthplace of bourbon whiskey and the home of many distilleries — dry districts had less alcohol-related auto accidents and drunk driving arrests. This should cheer the citizens of Chandrapur which will be the third district in Maharashtra state to go dry in a bid to curb irresponsible drinking. Regulation of alcohol drinking is effective and necessary. 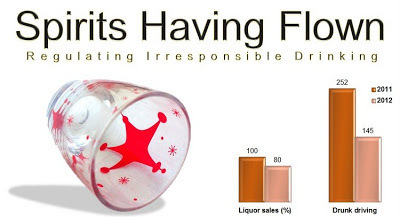 It provides a deterrence to irresponsible drinking and illegal distribution of alcohol. Alcoholism treatment financially benefits the family. Regulating alcohol drinking works to benefit society. Wilson RW, Niva G, Nicholson T. Prohibition revisited: county alcohol control consequences. J Ky Med Assoc. 1993 Jan;91(1):9-12.